OMRF has added two new researchers to its scientific staff. 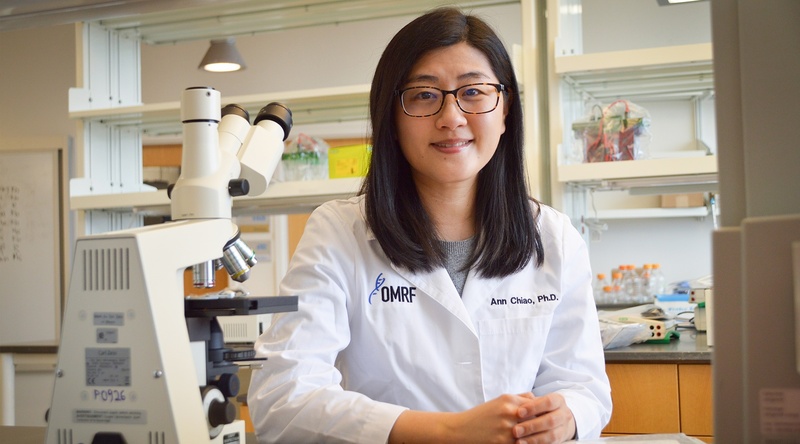 Ann Chiao, Ph.D., joined OMRF’s Aging and Metabolism Research Program from the University of Washington in Seattle. Her research focuses on studying why heart function declines as we age. Her research goal is to develop drugs or interventions to delay, lessen or even reverse some of the negative changes in the heart caused by natural aging. Chiao received her Ph.D. from the University of Texas Health Science Center at San Antonio. Chi Fung Lee, Ph.D., joined OMRF from the University of Washington. His lab in OMRF’s Cardiovascular Biology Research Program is geared toward understanding the mechanisms that contribute to the development of heart disease. Lee’s research aims to improve treatment options for patients with heart disease. Lee earned his Ph.D. from the University of Texas Health Science Center at San Antonio.